Some months ago, I decided to run a big ChromoPainter analysis of the Eurasian samples I have. I removed from my dataset not only all Sub-Saharan Africans, but also North Africans and anyone else with more than 2% African admixture (which unfortunately included me). Since the number of samples was still too large, I picked 25 random individuals from each non-South-Asian ethnicity while keeping all South Asians. 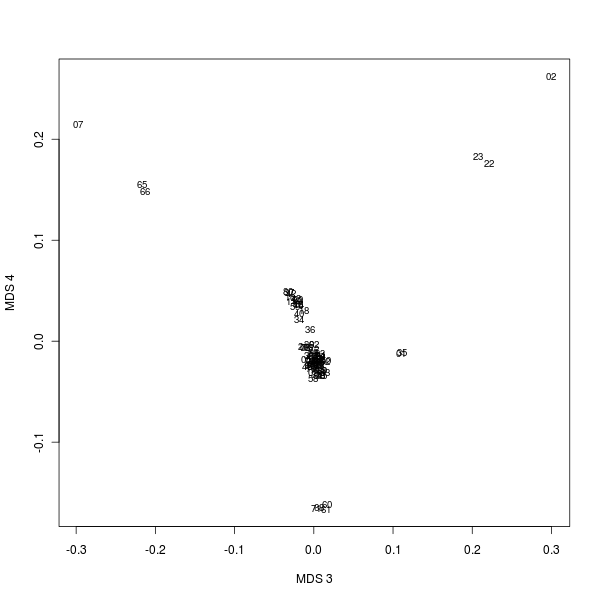 I also tried to remove all close relatives and those with a high missing genotyping rate. 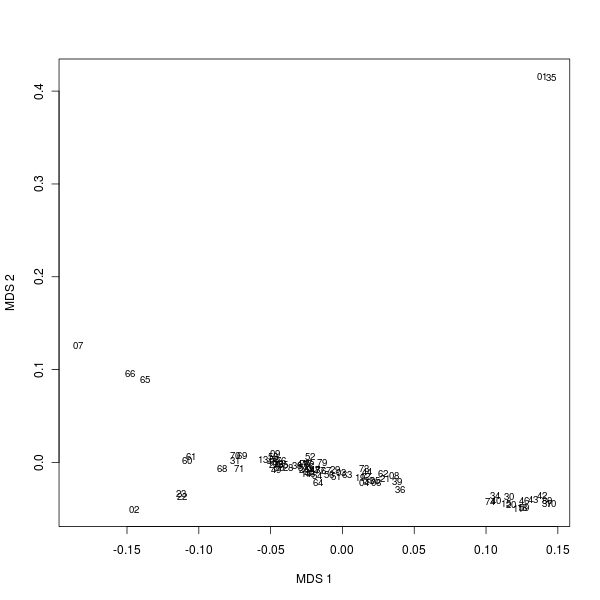 In the end, I had 254,576 SNPs for 2,001 samples belonging to 197 ethnic groups. I ran ShapeIT to phase their genomes and then ChromoPainter and fineStructure. The whole process took about 2 months. Then I got busy and the results sat on my computer for more than a month. Now let's look at the ChromoPainter/fineStructure analysis. Due to my time constraints, I am going to present them in several posts. Today, let's look at the fineStructure clustering run on the chunkcount output of ChromoPainter. It divided the individuals into 203 populations. Here's the spreadsheet containing the group and individual population clustering. 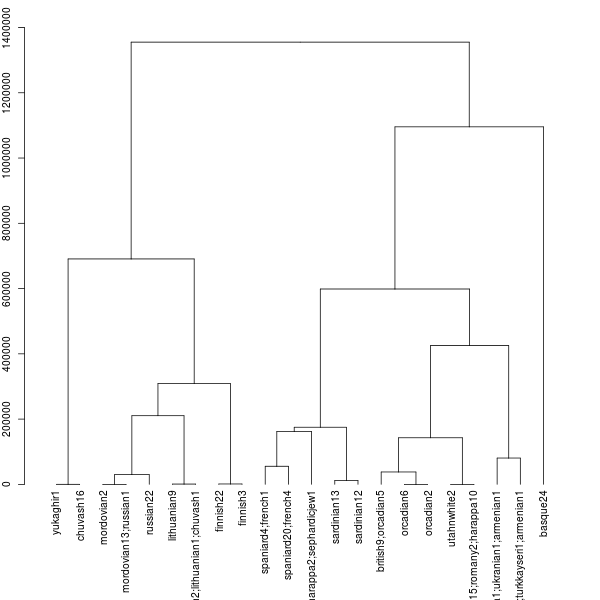 And here is the dendrogram showing the relationship of the clusters/populations computed by fineStructure. 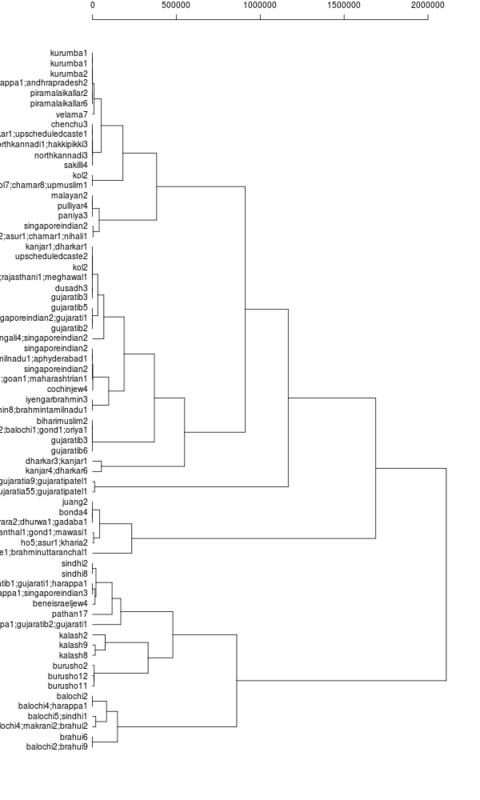 I want to use it to generate dendrograms including all Harappa participants and individual reference samples. So we are looking at more than 4,000 nodes on the tree. Now that we have the admixture results for project participants using Reference 3, let's take a look at a tree based on Euclidean distance of the admixture proportions for each participant. Compare it to the earlier one with reference 1 admixture results. 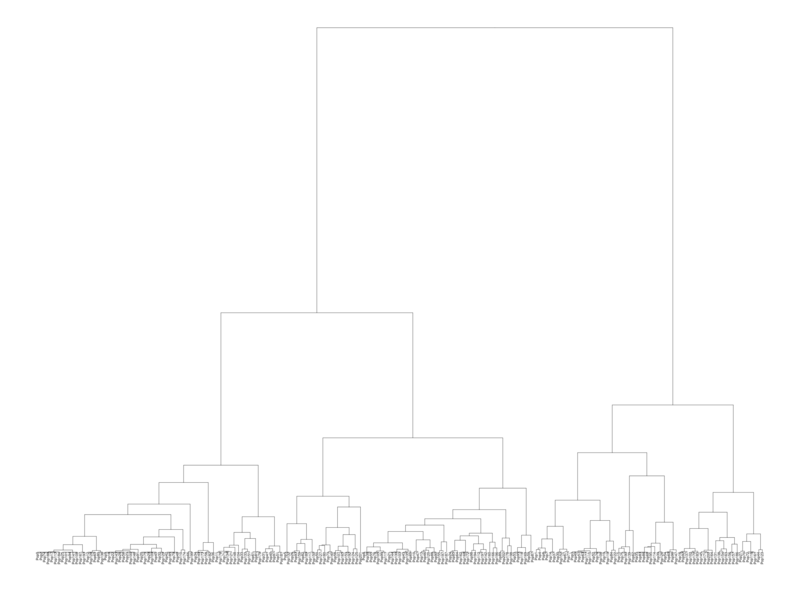 And here is a dendrogram combining the average reference population results with the Harappa participants. 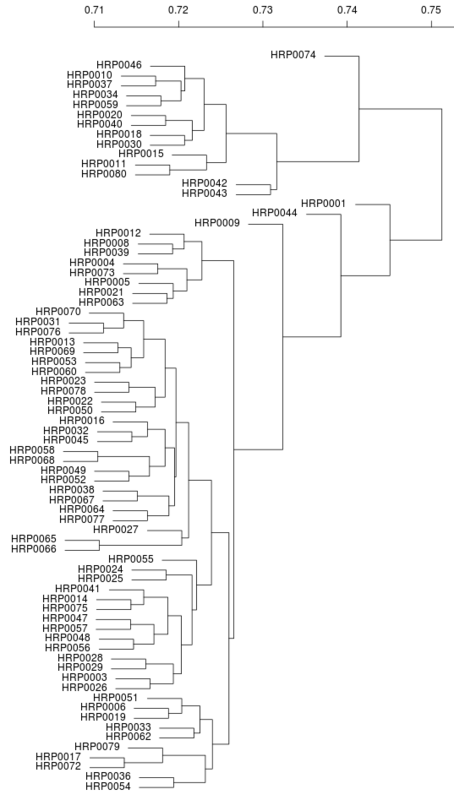 Is it possible for you to create an unrooted similarity tree of all the populations in your â€œReference 3â€³ dataset? 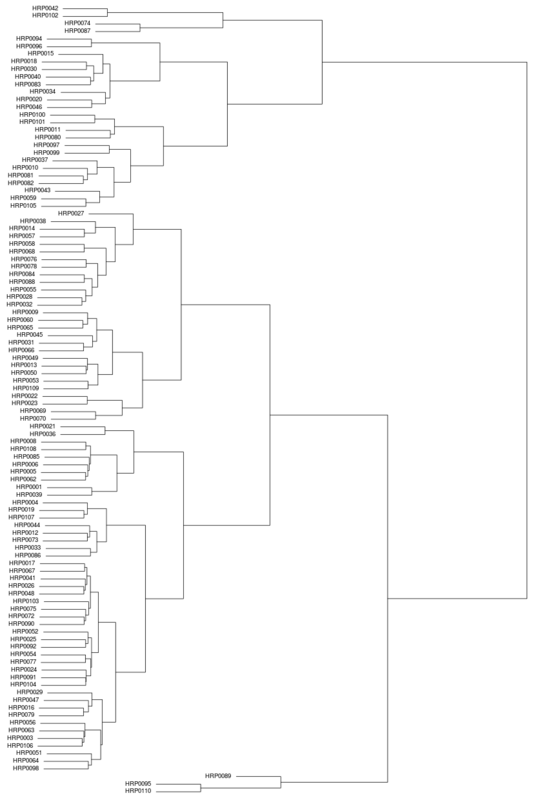 So here's a dendrogram of the average K=11 admixture results for the reference 3 populations. I computed the IBS similarity matrix for the Harappa participants HRP0001 to HRP0080 over 500,000 SNPs. This is exactly the same thing as the genome-wide gene comparison at 23andme. where sij is the similarity between individuals i and j and dij is the distance/dissimilarity between the two. 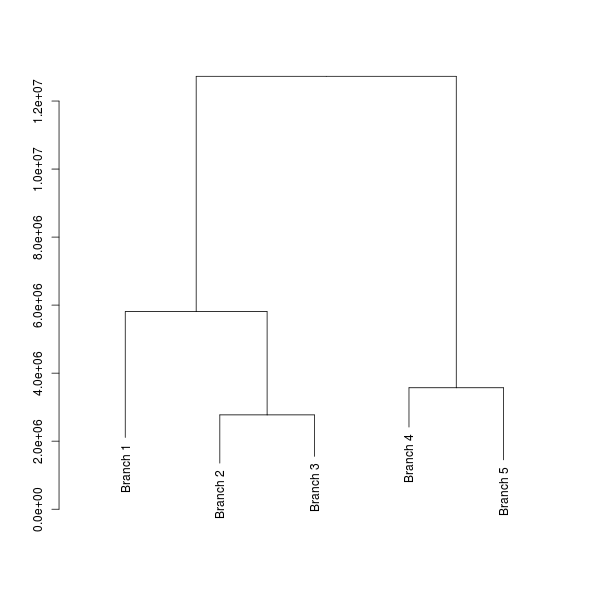 Using the dissimilarity matrix, I classified all the participants (excluding close relatives) using hierarchical clustering with complete linkage. 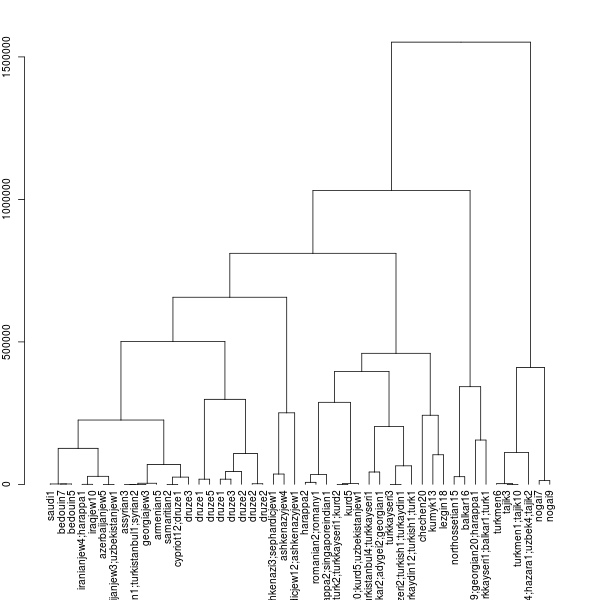 You can see the dendrogram below. Then I used the same dissimilarity matrix to calculate 6-dimensional MDS. 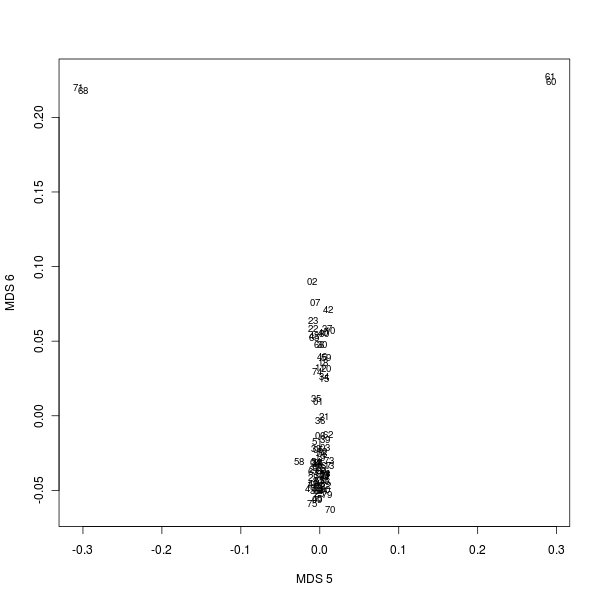 You can see the MDS plots below. The numbers on the plots are your Harappa IDs. As you can see I (HRP0001) and my sister (HRP0035) are far away in the first four dimensions. I'll let you guys speculate on what each dimension represents. Now why create an MDS this way instead of directly using Plink's MDS functionality? Well, I needed to check if I could do it using only the similarity matrix because that would be really useful for something else. Tune in on my other blog for more later this week. 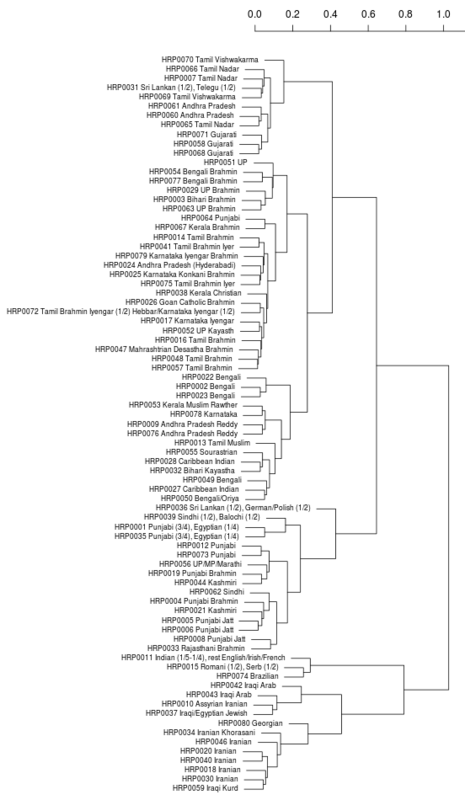 It's time to update the Harappa admixture dendrogram since the last time I created one we had only 40 participants. Note that this is not a phylogeny. It just visualizes the closeness of your admixture results to others. Also note that I am using Euclidean distance between admixture proportions which has problems and using complete linkage hierarchical clustering.